Truly a jewel in the Bahamian archipelago! A cluster of 30 islands and 100 cays, with a population of approximately 800 people, The Berry Islands are as sweet as their name. It was February 2014 when my family and I set off for what was to be one of our most loved island getaways. From the moment we left London Heathrow on our direct 9-hour flight with British Airways to the capital city of Nassau, I simply imagined long lethargic days on the beach, swimming in the ocean and eating unlimited measures of conch, such a Bahamian delicacy. I was three years of age when I last visited Great Harbour Cay, The Berry Islands. My mum was the Island’s nurse and was stationed there for eight months. I was so young, making it impossible to recollect, however, the photographs recounted a delightful story, capturing exceptional moments and the stunning scenery that surrounded us. Our short charter flight with LeAir from Nassau to the Berry Islands was as smooth and picturesque as expected. As our plane moved towards the landing area, my husband (Ric) could hardly believe how little and conservative the air terminal was. We arrived early afternoon to the most serene, calm, setting and apart from the modest bunch of workers at the airport, there was no-one in sight. A long way from the hurrying around of London Heathrow! Our suitcases were gently set alongside the various passengers’ on the trolley (carousel) by our charming baggage handler, ready for collection. Waiting for us as arranged was our host Angie; she was as friendly and reassuring as her messages and we were anticipating our three nights stay at CarriEarl. We arrived at our lovely boutique hotel, painted a delicate turquoise shading, which matched the ambience of the island and was encompassed by some beautiful Bougainvillea. 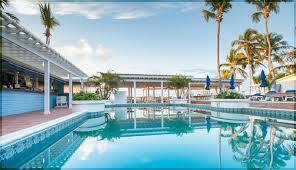 The inside had all the charm of Bahamian life with British hospitality. As you see, Angie and her partner Marty are from Cheshire, UK and they purchased this property five years earlier which was in dire need of repair and transformed it into an ideal setting, offering lodging along with a charming restaurant, regarded by all. Marty is the head chef and is to be admired for the attention and care in which he prepares every meal. For he ensured that Ric’s vegan meals were not only delectable but varied. Ric looked forward to every meal with anticipation, as it was always a surprise. This was surely no easy task, especially on an island that depends on the once weekly delivery of the mail boat from the capital or twice weekly service by plane. It was the personal touches and the trinkets that adorned the hotel, which I found extremely inviting and charming and the way our very British hosts settled into a Bahamian way of life. I longed to capture this feeling again and within an hour, I was walking around barefoot with a cocktail in my hand. I was home!! Over the next three days, every minute of our time was spontaneous and exciting! Our means of transportation (courtesy of CarriEarl) was a bicycle and boy did we use it! Our bicycle rides to the caves and sand dollar beach in search of shells, was magnificent. When the tide is out, you could walk across to Hawks Nest Island. The water is ‘gin clear’ and we had the beach to ourselves. Ship Builders Beach, another untainted hideaway, was said to be a favourite of Brigitte Bardot. Meeting the locals in town was always a joy as they waved and stopped to welcome us to their island. Everyone was so friendly and warm and there was always time for a chat and a drink with a local. One of the many highlights for us was our trip to Goat’s Cay to pet and hand feed the stingrays. These velvet soft like creatures are as friendly as the locals. The boat ride over through the mangroves was breathtaking! It is a recommended excursion and one for the entire family! Ric took a very special liking to the local parrot, a beautiful blue and yellow Macaw, who mimicked every word, with its striking colours and Bahamian personality. The entire day was mesmerizing from dawn to dusk, we didn’t want to leave. My son was nine at the time and he said, ‘it was his favourite holiday and he loved every minute of it’! Not once did he reach for his iPad, games, or even watched television. He was preoccupied with mother nature as I was when I was his age. The Berry Islands are so endearing and captures your inner child, reminding you of how the simple things in life are the most precious. Our last evening at the hotel was special. Marty had prepared our last supper, which truly showed off his culinary skills and would easily be seen in any Michelin Starred restaurant. He certainly has a flare and a passion for food. We chatted some more over drinks with some American expats who built homes on the island and visited throughout the year to get away from the colder climes in America. Some have been coming there for over 50 years and it is easy to see why. Stories of the islands 9-hole golf course attracted international celebrities in its heyday but is now only used for recreation. There is a real sense of community there and a real love of the island, which was shown when the residents and school children got together to clean the 5-mile beach. It’s hard not to fall in love with this place. We had one last dip in the sea before we headed to the airport in the morning, but not before a final cocktail from Dronzi’s Bar, the list of exotic names was always hard to choose from. The island’s police stopped by while off duty and joined us. It felt as if we were talking to an old friend. He was such a colourful character! As Angie drove us to the airport, we chatted about our fantastic time at CarriEarl. How could we possibly top this holiday!! We were planning our next visit. As I sit here thinking almost four years on, it must be next year! Previous Who Benefits from Mass Tourism? Next Grand Bahama Island, An Island Feel With A City Flare!